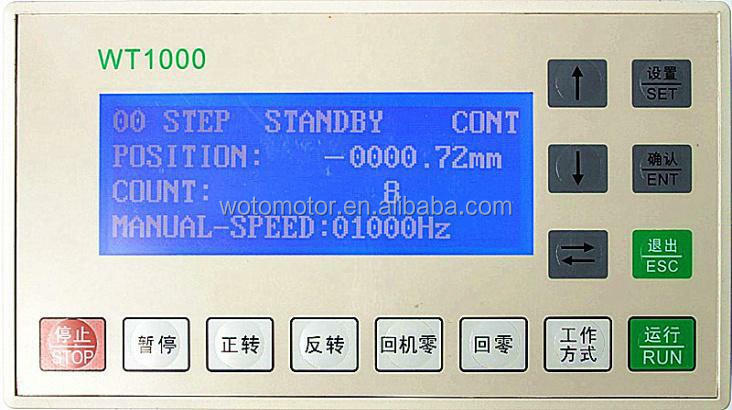 The WT1000 controller is embedded computer centered .which has many advantages, such as easy operation, friendly interface, high reliability, etc. 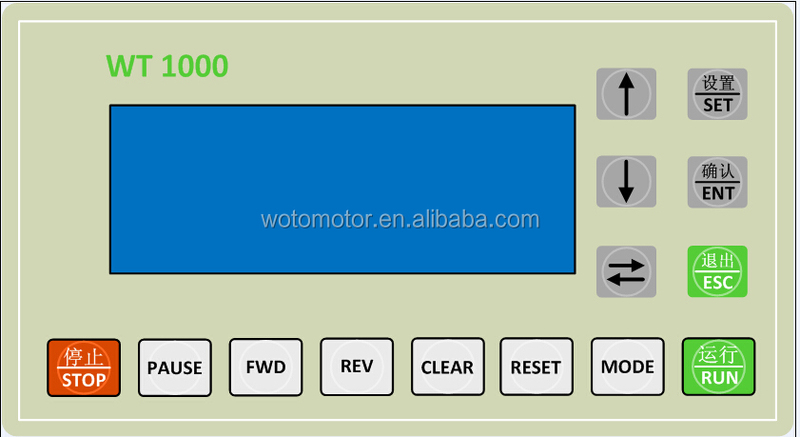 It is equivalent to a PLC with LCD, operate easily ,much strong anti-jamming ability . 1.Logical action can be set up . 7.8 output ports, 6-channel independent output ports, two standard motor control interface . 8.8 input ports, 6-channel independent input ports, one standard for run and another for stop . 1. Button“set”: when it is not in the condition of setting parameters,click“set”,and then can set the parameters value . 2. Button“ENT”:When the parameter value is set well, click the button to confirm and save. 3. Button’lsquo;ESC ’rsquo;: When in the condition of setting parameters , click ’lsquo;ESC ’rsquo;,it will be out of the parameters setting condition . When it is not in the state of the parameters setting , click ’lsquo; ESC ’rsquo; , it will be back too the 00 page . 4. Button’rsquo;↑’rsquo;: When it is not in the state of the parameters setting , click it , the page will page up “ . When it is in the condition of setting parameters ,click ,the parameters value will be plus one . 5.Button ’lsquo;↓’rsquo;:.When it is in the state of the parameters setting , click it , the pagewill page down . When it is in the condition of setting parameters , click , the parameters value will be decrease one . 6.Button “ →←’rdquo;:Click on the button when it is not in the setting parameter state, thecursor cycle shift to the left. 7.Button “ Pause’rdquo;: When the controller is in the condition of working , click it , it will be pause .If click “ pause” and “ ESC’rdquo; , the location will be reset .Ifclick“pause” and “ →←’rdquo; , the counting will be reset . 8.Back to zero: Click on the button when in standby mode ,the motor will back to zero. 9.Back to the mec zero: Click on the button when in standby mode ,the motor will back to mechanical zero. 12.Run: Click on the button to enter the automatic processing state . 13.Stop: click the button , the controller enter the condition of reduction . 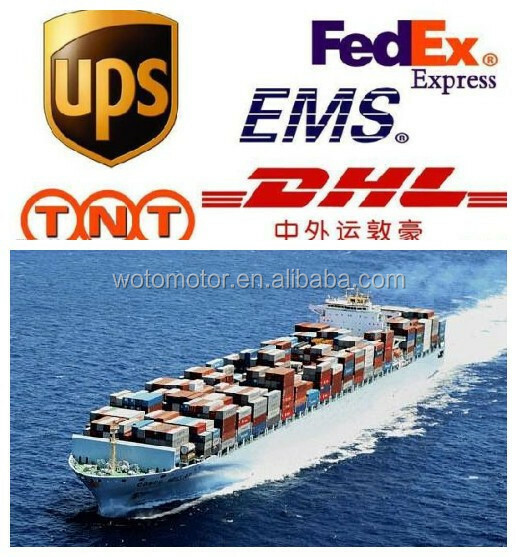 About the shipping methods,for samples or small batch,air shipping is recommended . For mass production or big batch, ocean shipping is recommended . 8:00 a.m - 10:00 p.m Any questions , pls tell us freely , we will be reply you asap . For samples , 7-12 days will be OK . This hybrid stepper motor controller with lower noise, high accuracy, high efficiency and short circuit, comes from Weitong which is one of the leading manufacturers and suppliers in this field. Having been well exported to the United States, Germany, Russia, etc, you can rested assured to buy our equipment at cheap price.